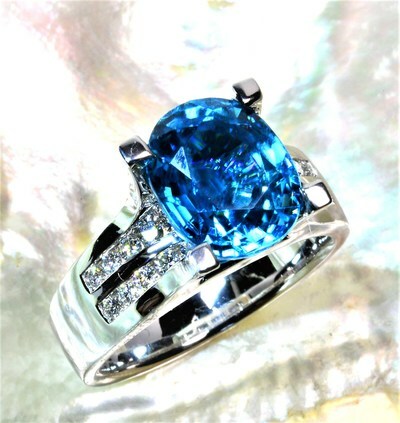 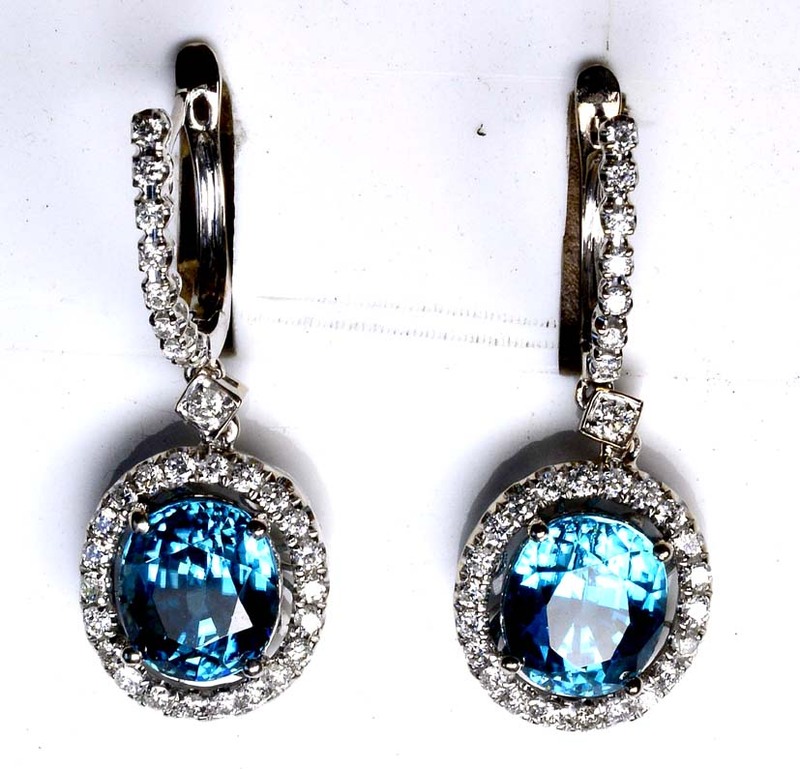 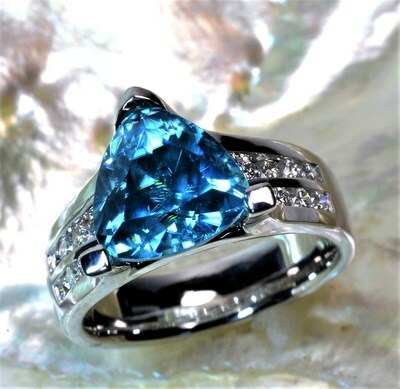 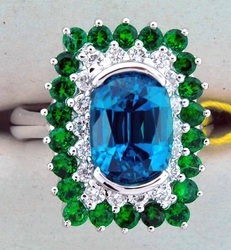 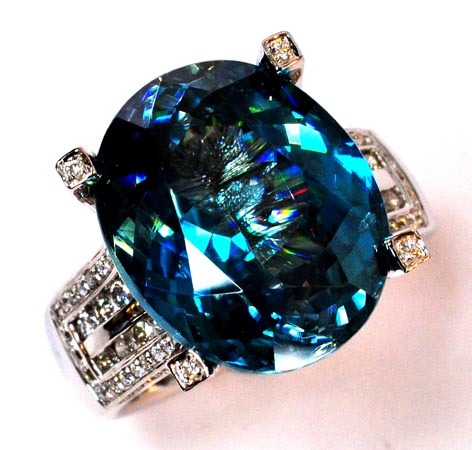 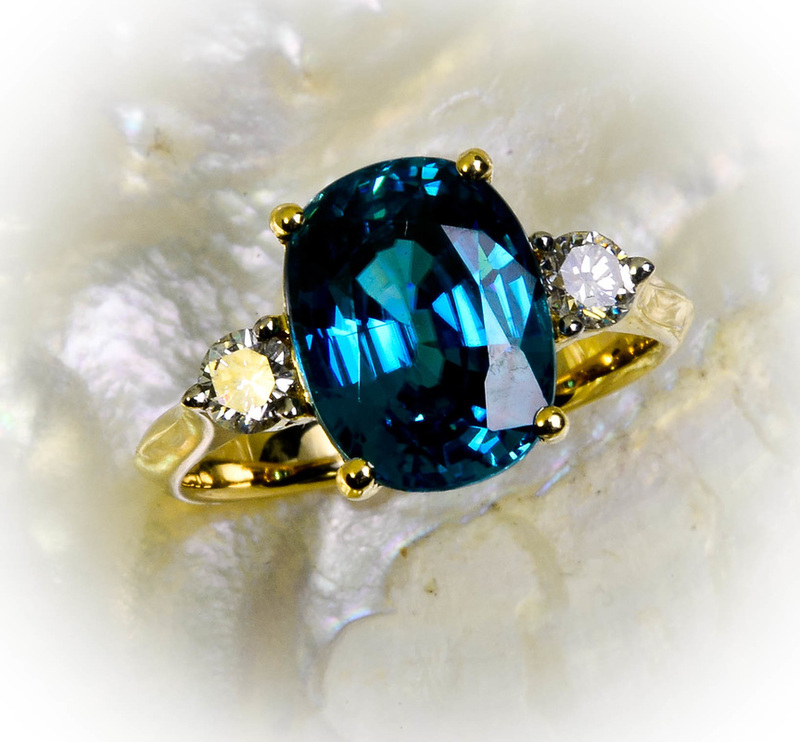 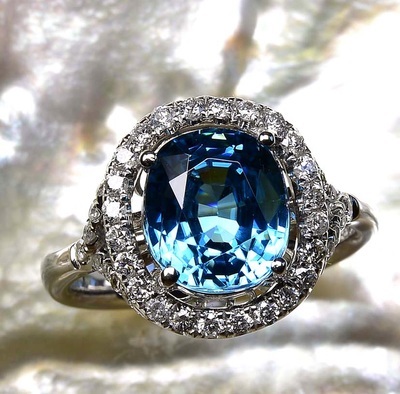 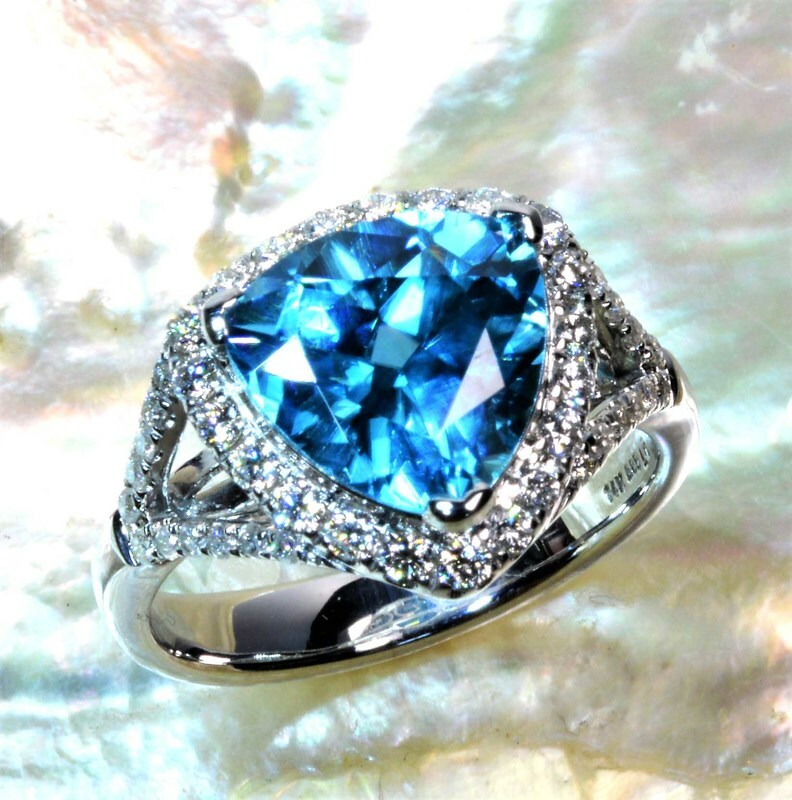 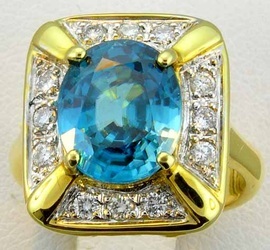 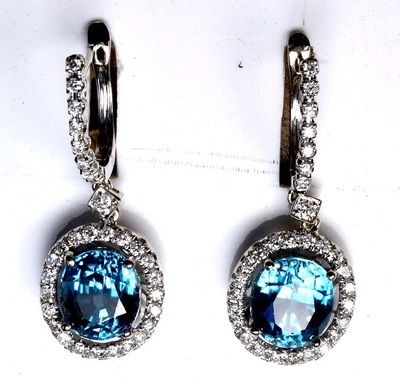 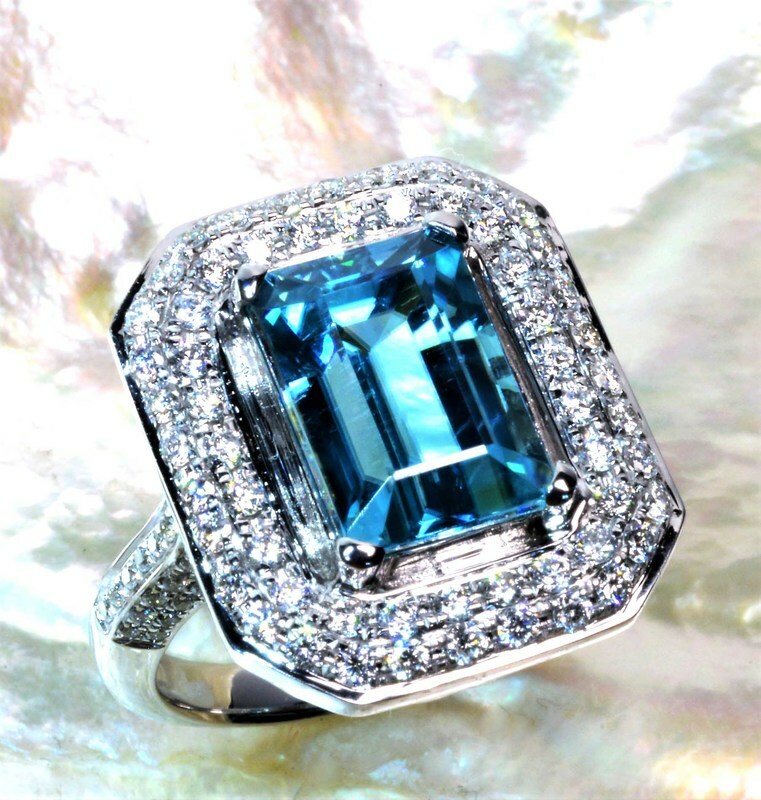 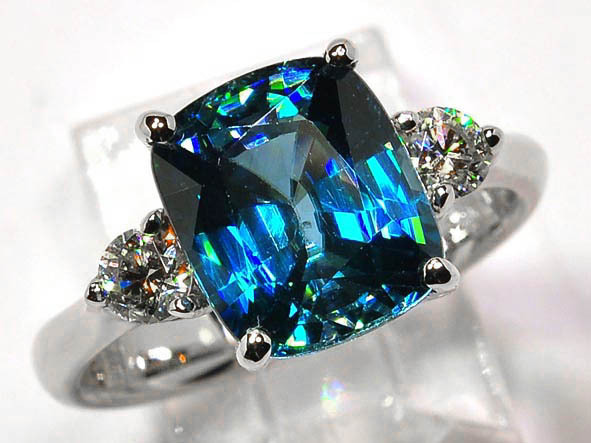 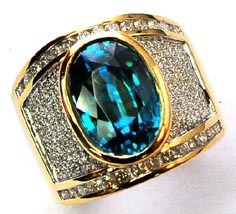 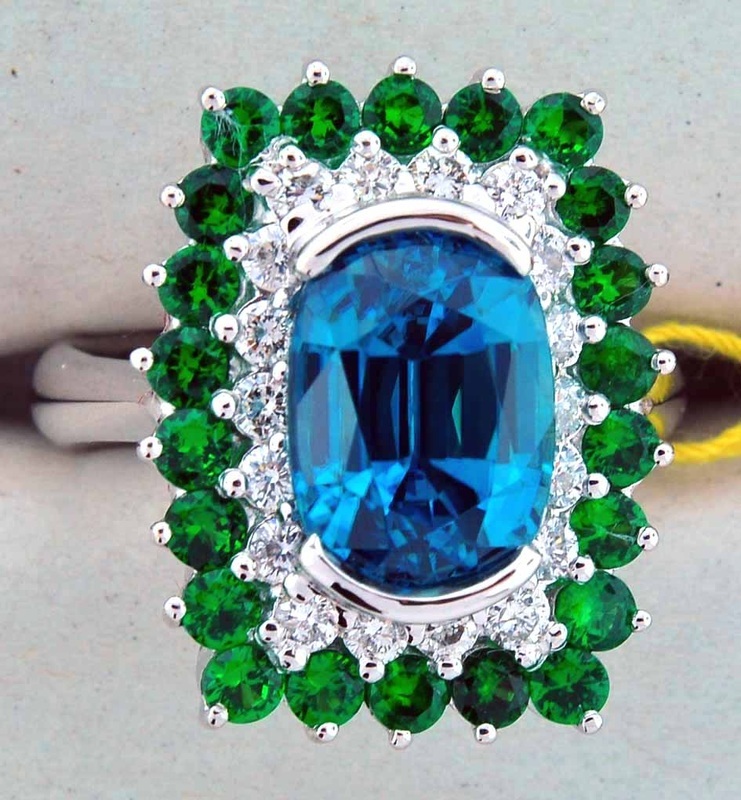 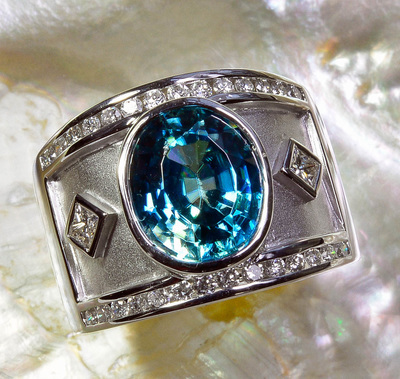 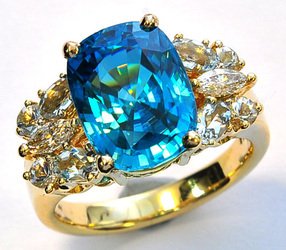 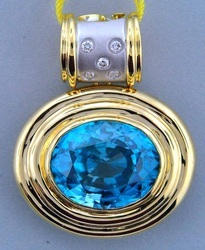 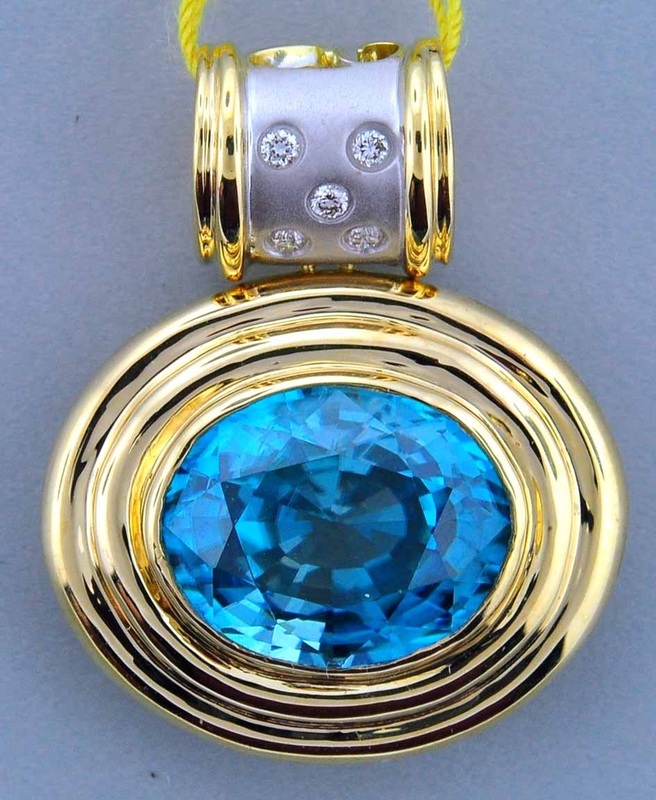 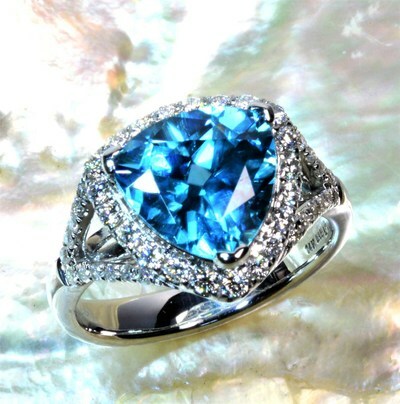 Zircon is a natural gemstone, not to be confused with Cubic Zirconia, which is man made. 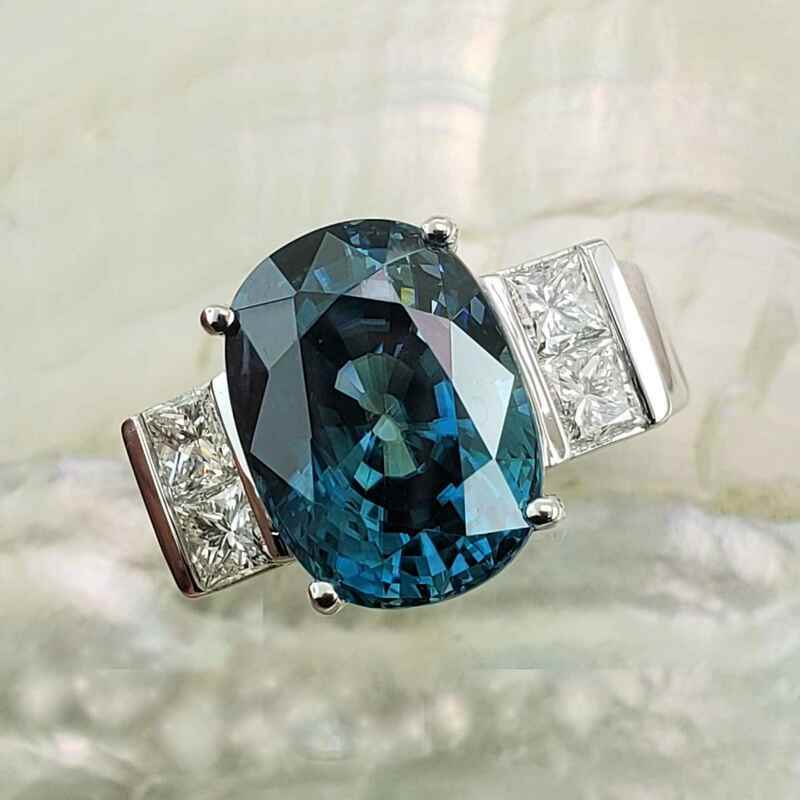 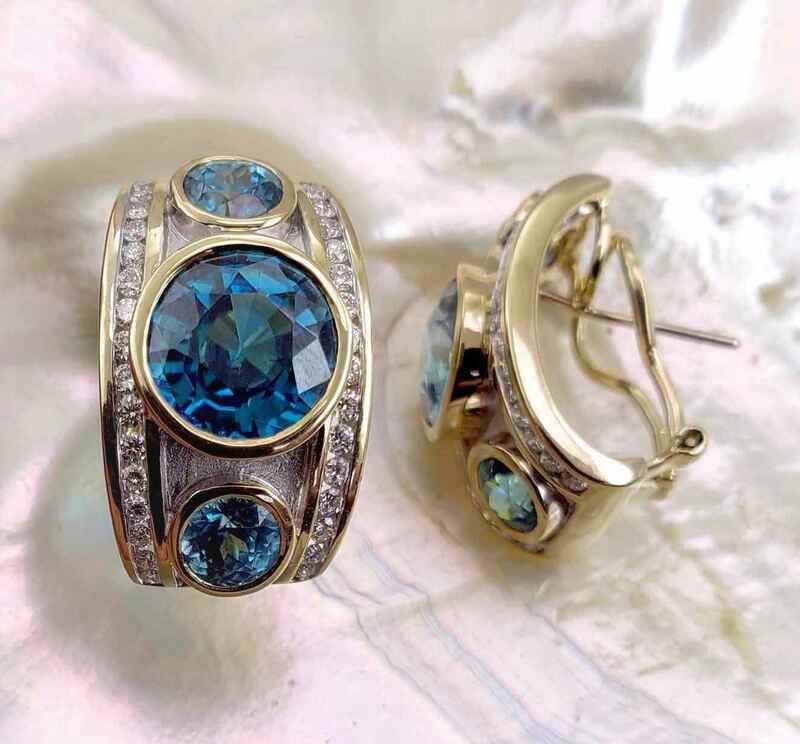 Zircons come in a variety of colors, including green, yellow, brown, red, colorless, and the most popular, a beautiful sky blue. 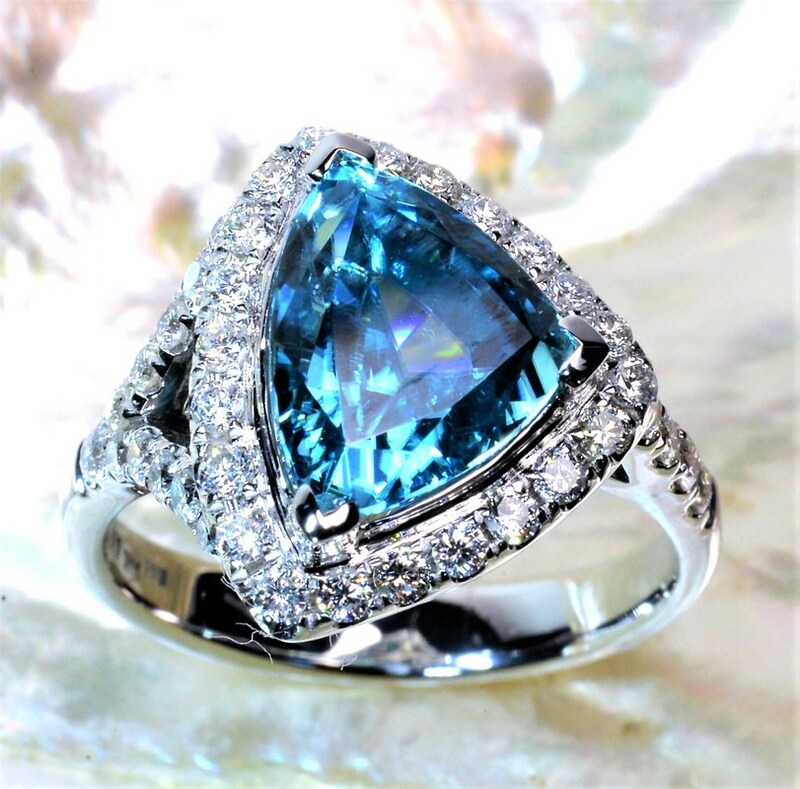 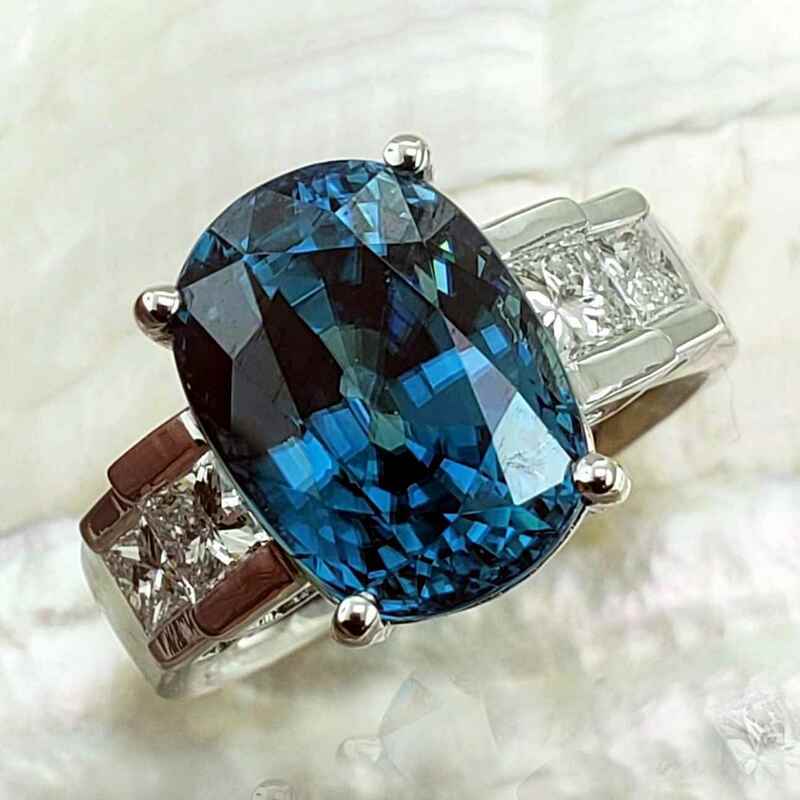 Zircons are most notable for having a high refractive index (more light is reflected back out through the top of the stone, which gives the gem more brilliance) and having a high dispersion (ability to split white light into its spectral colors) similar to that of Diamond.